*ExclusiVacations at Miami Beach* is the first of a series of boutique hotels developed by Exclusive Properties. 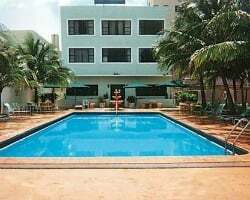 Located directly on the beach at Collins Avenue near famous South Beach and trendy Bal Harbour, the resort has a minimalistic design with European platform beds, flat-screen televisions, and mini-bars. Each unit has a whirlpool. The property is only 15 minutes' drive from the international airports of Miami and Fort Lauderdale. To discover more, please visit www.themimosa.com. Enjoy comfortable accommodations! Close to the beach! Floating week! Buyer may receive a title fee credit, inquire for details!